Combining your passion for dance and a weekend getaway at the beach! We are excited to present the 8th Annual Port City Salsa Splash in beautiful Wilmington, North Carolina. We invite you to our piece of the North Carolina coast to put your toes in the sand by day and then put your dancing shoes on by night! The highlight of the weekend is the opportunity to dance aboard the USS North Carolina Battleship -- a truly unique experience! Find the balance of relaxation and excitement as you enjoy a weekend combining your passion for dance and a getaway at the beach. We look forward to seeing you! We praise Betto Herrera for the versatility that he possesses and the wealth of knowledge that he brings to every class that he teaches. Last year, we received such a positive response to the Intensive workshop that he offered that we’re doing another one this year!! *DO. NOT. * miss this opportunity — regardless if you are a beginner or more seasoned dancer, a bachatero or a salsero. Spots are limited so reserve your discounted ticket in advance. 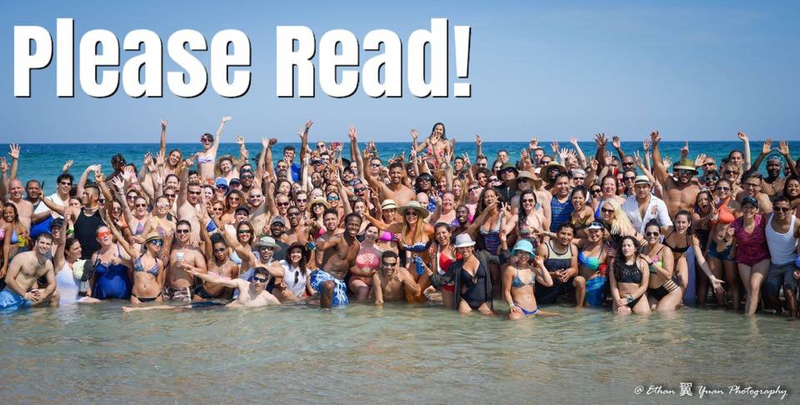 We've received a lot of questions regarding our beloved beach party. Please visit our FAQ's/Contact Us page for an important update!! ​Check out our past videos below! ​We can't wait to have you here with us this year!! !